It didn’t take us very long. After the initial bursts of gunfire, and sporadic news, giving us the death toll at 22, 49, 69; after President Kenyatta delivered his initial, emotional statement, it started up. The counting, the tabulating, categorising. How many South Africans were lost? 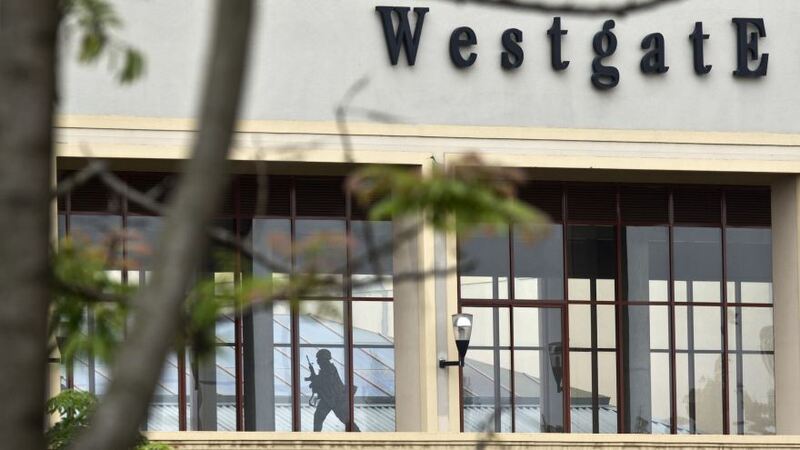 How many British nationals are still trapped in Westgate Mall? On and on, the headlines droned, telling us where the people caught up in this horror got their passports. Now that the initial frenzy has subsided, and we are left with the grief, and the questions, the national categorising continues. The so-called ‘white widow’, a woman suspected of being involved in the attack, has provided a further vehicle for us to continue our obsession with borders. She has a South African passport, was married to a British national, but where is she from? I 'get' that each country's media focuses how many of its citizens were hurt/killed in #westgatemallattack but I don't understand it. Why this endless discursive fixation on sticking flags in people amidst a tragedy that we all initially responded to as just humans? I have a theory. Death is a devastating, completely orderless thing. It invades a normal, idyllic Saturday afternoon at the mall, changing worlds forever, and splitting time into distinct ‘before’ and ‘after’ periods. It is completely meaningless and changes all meaning in its wake. After my aunt’s death, I am no longer able to take the news of a person’s death in the same way: in the wake of her passing, when I am told that ‘so and so has died’, I now know the incredible depth of the void that must now exist for this person’s loved ones; I now know intimately the journey they are on, and I wish for them and for me, that there was someway to ease that path. But even as we know grief intimately, there is so much we still don’t know. I suppose that is the nature of death: we literally cannot know it fully until we’re dead ourselves, and the fact that we cannot know makes surviving those who die that much harder. It is terrifyingly mysterious. And to cope with all the meaningful meaninglessness of it all, we impose narratives. We tell ourselves, ‘so and so is in a better place, or ‘their spirit will live on’. I have drawn on the comfort of narrative to make sense of my aunt’s death but I know that the narratives are just that, though, a coping mechanism. Nothing will order the chaos of a world without her in it, but sometimes, the chaos makes it hard to get out of bed. So I need the narratives and I use them liberally. We all do. And in the wake of a terrorist attack, death that wears the mask of geopolitics, death that proclaims itself to be in the name of some national mission, we often turn to the most obviously available geopolitical narratives. We make sense of this insanity by calibrating how much each country, each ethnicity lost, putting a readable identity on the tragedy. My initial response to this endless counting and cataloguing was ‘what is the point’? People are still gone, those who survived will now have to begin the long, arduous healing process. The hurt will not be diminished by whatever country issued your passport. But the grief that comes from terror is different. When faced with death that comes to us via terror, our grief is even more chaotic because it is laced with the knowledge that none of us, none of the people we cannot live without are ever as safe as we think: we could be on our way to work, or attending a kids’ cooking event at a shopping mall, when in the name of politics we don’t know about it, or fully understand, our lives could change forever. As much as death can strip life of any meaning, I imagine that death at the hands of people driven by some unknown political agenda can add another suffocating, frustrating layer to the void. The rush to claim the nationalities of those who were caught in the war Al-Shabaab is waging on Kenya can be seen then as a rush to give meaning to this chaos done in the name of nation and of identity. But as much as I understand where this rush to nationalise grief comes from, I am of the opinion that not all narratives are born equal. The country-counting is especially harmful because of the things it does not say, even as it shouts them. Whilst we count our ‘own’ dead, we leave out the Kenyans killed, implying that because this happened on Kenyan soil, somehow those deaths don’t stand out, are right, perhaps justified. By counting the dead of each country, we seem to somehow be calibrating loss, as if to say South Africa, you lost this much (and are culpable in these ways, as recent reports about the ‘white widow’ imply), Britain, your loss was this size. The implication is all this is that some loss counts more; and that our grief, brought to us by this single terrifying, act of indiscriminate violence, is different, our dead are different. Immediately following the massacre, an image (which I won’t reproduce here) of a little British boy who escaped the mall, along with his mother (who was shot in the thigh) and sister went viral. In the picture, he is outside the mall, looking shocked and terrified, standing next to the dead body of a black man. The image has been called “iconic” and touted as a testament to the bravery of the human spirit: look at this kid, only 3 or 4, standing next to death, having faced it down himself, seemingly unflinching. But what of the dead man lying where the boy stands? What are we implying about his life, and the dignity he deserves in death? I’m sure the little boy is brave, and we are right to acknowledge his bravery, but what does it say that in this photo where the bravery and the tragedy of the attack are reflected, all we see is this little boy? That this image – that features a dead body – is what we consider to be an iconic rendering of ‘human’ survival makes visible the subtext in all of the discursive flag-sticking that’s gone on in the wake of the tragedy. If we name the nationalities of those lost in a bid to say to Kenya, as it grieves and tries to make sense of the horror that happened on the world’s watch, in its home, your loss is not just Kenyan loss, but is South African, is British, is American, is Zimbabwean, is Malawian, is not yours alone to bear, then we are doing more than just randomly ordering and valuing and comparing scars as if this will bring any kind of sense to the chaos. Grief is chaos. It is order and narrative and everything you thought you knew ripped from you. I can’t imagine how many times over the chaos is multiplied when it is wrought by senseless mass violence and death. I can imagine the brief, perfunctory but sometimes lifesaving comfort brought by narrative-making in the face of loss. But even as we grieve, as we make meaning, it is important to recognise some narratives as harmful and they order they impose runs the risk of reinscribing the divisions that get us into trouble in the first place.